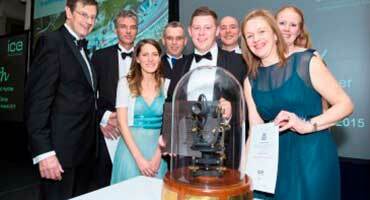 Promoting the success of civil engineers and projects in Yorkshire and Humber is important. It helps to raise the profile of civil engineers and the profession across the region. So, tell us who or what has made you proud! Our Civil Engineering Awards recognise excellence and imaginative concepts in civil engineering practice across the Yorkshire and Humber region. There are award categories for Small, Medium, and Large projects. They span all sizes and structures and celebrate projects that have a clear benefit to society. In the first leg of the Yorkshire and Humber competition, entries from the Yorkshire and Humber region will showcase their talent and creativity in a 200 second presentation in Sheffield and Hull, with top entries selected by a panel of expert judges going forwards to the regional final in York. The winner of the regional final will become the Yorkshire and Humber Regional Ambassador for 2020 and represent the region at the Grand Final in London. Interested in entering the competition? Please complete the entry form and return by 23/02/2019. The regional Pitch 200 is open to all current ICE members who study, live or work in the Yorkshire and Humber region. Organised by the ICE Graduates & Students Yorkshire and Humber Committee. 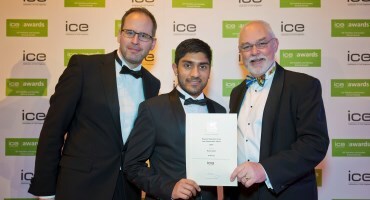 The Regional Education Team presents three awards to individuals and companies that have made a significant contribution to the ICE ambassador scheme and helped raise the profile of civil engineering among young people. Presented to an employer that has been the most effective during the previous school year in the Yorkshire and Humber region. *Nominations for the two individual awards are made by the Regional Education Team. The award will be presented by ICE President Professor Lord Robert Mair at the Yorkshire and Humber Gala Dinner on Friday 2 March 2018 at the Majestic Hotel in Harrogate. Place your nomination using the online form. Forms must be received by Thursday 22 February 2018. Nasar has been active in careers fairs and attended a number of structured activities, including one at his old school. He has balanced this commitment to encouraging young people into engineering careers with a demanding role at JN Bentley and embarking on the route to professional membership. He is a wonderful, enthusiastic individual who has also been instrumental in recruiting more graduates to help with schools activities. 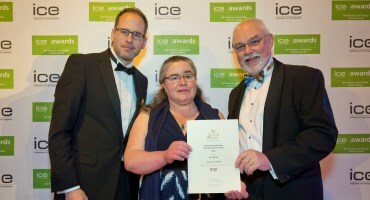 Kate has received this year's award for her ongoing support to the education team, not only in her own time, but also in promoting how ICE can support schools and events in the region. She often approaches ICE with requests to support high profile events and is a great ambassador for women in engineering. Her role now at the University of Sheffield allows us to work with the engineering department to attract more students into engineering careers. 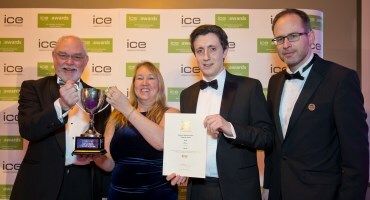 An award that only skims the contribution that she has given to ICE. The Emerging Engineers Award, formerly known as the Papers Competition, is an opportunity to develop key writing, presentation and debating skills. It's also a great way to boost your continuing professional development (CPD) record. The Yorkshire and Humber regional heat is open to all current ICE graduate and student members who live, work or study in the region. The judges will select from the entries submitted and finalists will be invited to submit their full paper and to present it at the regional final. Entry for the Yorkshire and Humber regional competition is now open. 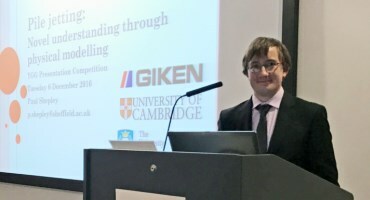 The Yorkshire Geotechnical Group Presentation Competition is open to young geotechnical engineers (aged 30 or under by the end of the year of entry). The aim of the competition is to encourage young engineers to prepare and give a technical presentation. It may be on any topic dealing with engineering behaviour of the ground, and can be based on a construction/design project or research. The presentation doesn't have to focus on work that's completely your own, but you would need to point what part you played in the project or research. Up to six finalists are chosen to give a 10-minute presentation, which should emphasise the geotechnical aspects of the work. There will be approximately five minutes allowed after each presentation for questions from the floor. A panel of professional engineers will judge the competition. There are also cash prizes (kindly donated by the evening sponsors) available for competition winners. All entrants will be encouraged to produce a poster to exhibit on the evening of the final and a cash prize will be awarded to the best poster chosen by the judges. Submit your 100-200 word synopsis to John Judge by 18 November 2019 from which the finalists will be selected. The Yorkshire Geotechnical Group (YGG) request all business leaders to encourage younger colleagues to take part in this event. If you'd like to find out more or to submit your synposis, please contact John Judge at: [email protected]. Paul's winning presentation was titled: 'Pile jetting: Novel understanding through physical modelling'.